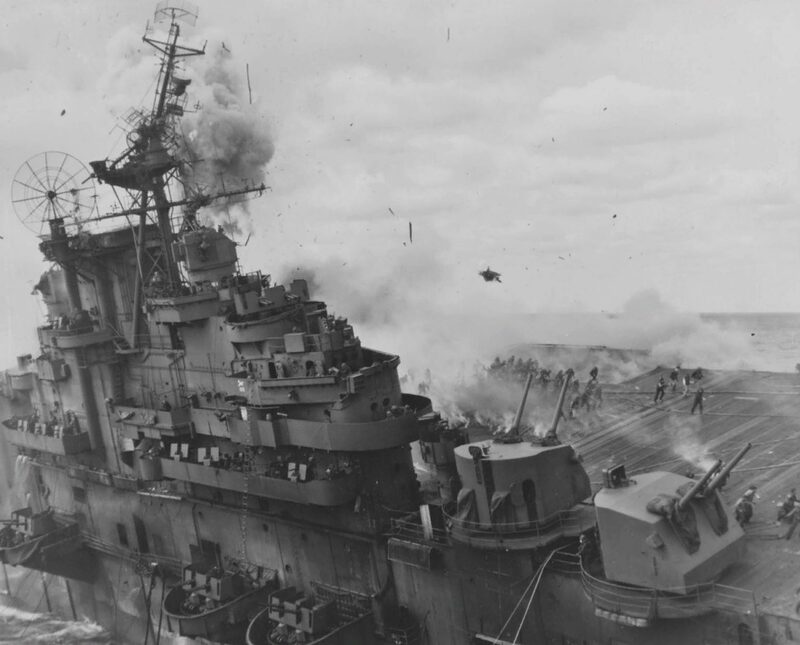 The photo shows scattering sailors and flight crews, as well as flying scraps of aircraft after an explosion of ammunition during extinguishing a fire on the flight deck of the aircraft carrier Franklin (USS Franklin or Big Ben (CV-13). The fire was caused by two 250-kg bombs from the dive bomber Yokosuka D4Y “Suisei”, according to the classification of the allies “Judy”. Picture taken from the American “Santa Fe” cruiser.